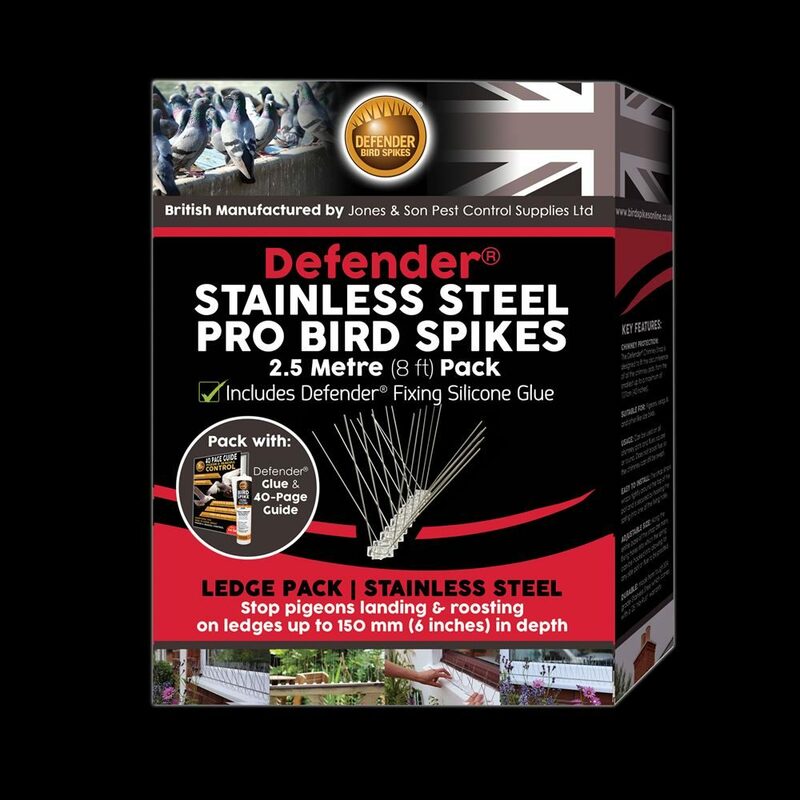 Defender® Stainless Steel Pro Bird Spikes are ideal for stopping pigeons from landing and roosting on ledges up to 150 mm (6 inches) in depth. Everything you need for installation, such as Defender® Silicone is included in this pack. When pigeons find a suitable ledge for roosting, they can quickly cause a build up of unsightly droppings especially if the birds use your property as an overnight roosting or nesting spot. Move pigeons off your property without hurting them by installing Defender® Stainless Steel Pro Bird Spikes. 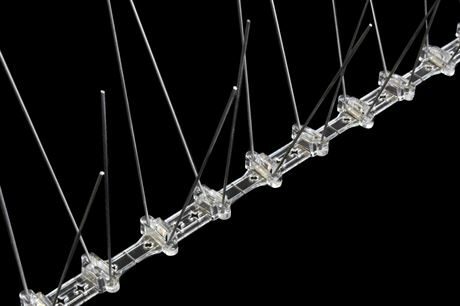 The Steel Pro works immediately on installation and simply discourages birds from landing without harm. All our Defender® retail packs are designed, manufactured and supplied by us, Jones and Son Pest Control Supplies in Devon. 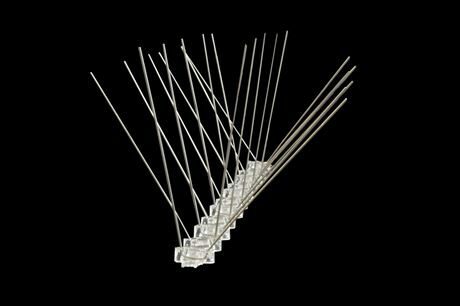 We love customers visiting our warehouse to see how the pigeon pro bird spikes are made and to get advice from our team on how to solve your pigeon proofing problem. Defender® Stainless Steel Pro Bird Spikes fan out to protect ledges with a depth of up to 150 mm (6 inches), or 100 mm (4 inches) if the ledge is used for overnight nesting or roosting. Quick and easy to install, the glue will require a caulking gun which is not supplied. For a simple guide to installation, please click here Defender® Stainless Steel Bird Spikes - Installation Guide. However, there is a great little installation guide on how to correctly install our Pro Bird Deterrents on the actual pack itself and within the informative Pigeon Guide which is included. 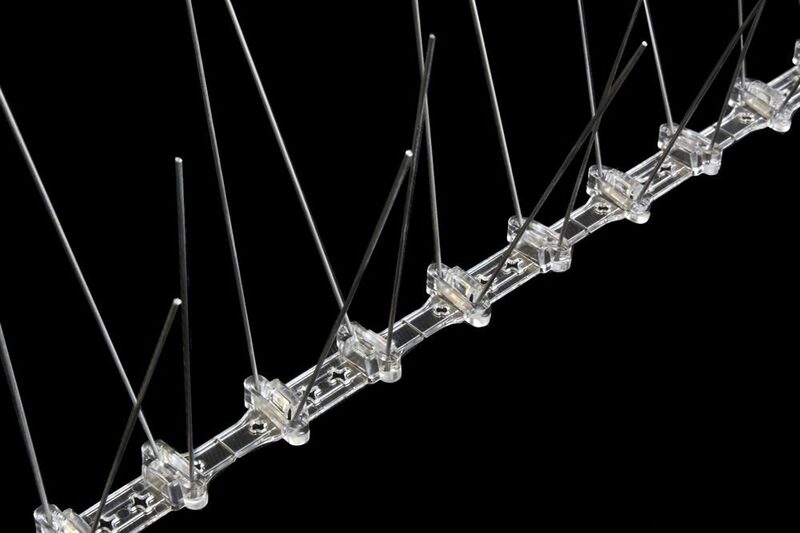 Made from super tough UV stabilised polycarbonate with 304 grade stainless steel pins. 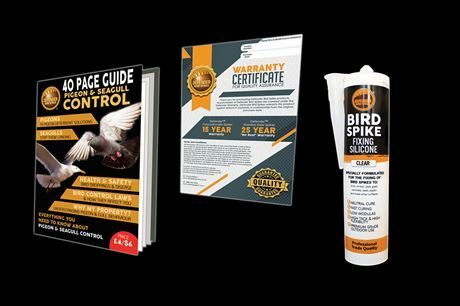 If you have a question about the Defender® Pro Bird Spike Pack, please contact us and we will help you move pigeons off your property!